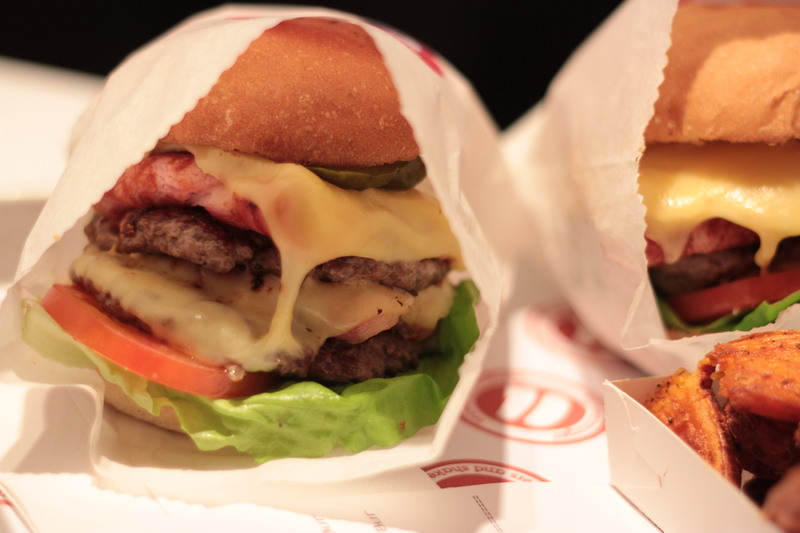 Can a burger that costs as little as £2.95 really be good? 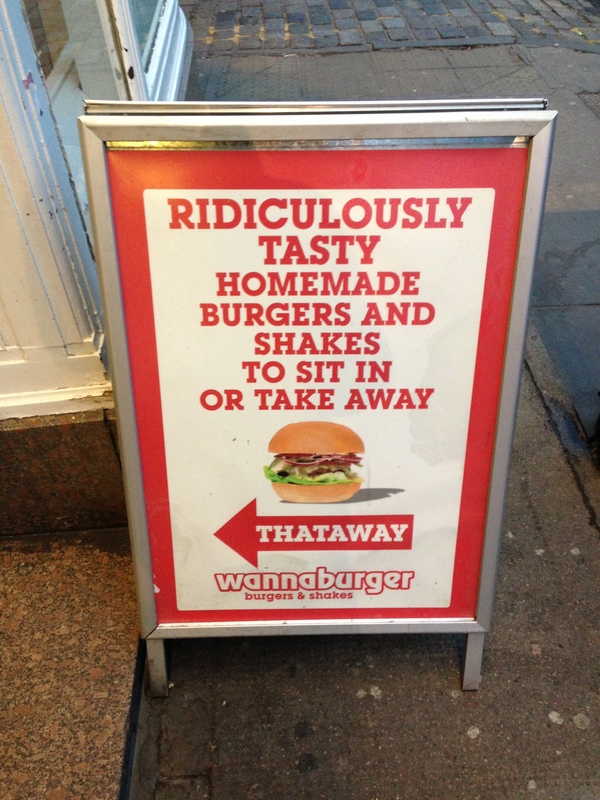 Wannaburger has been feeding hungry customers in Edinburgh for years and serving up fresh fast food burgers that are made to order. Having eaten the likes of Shake Shack and Five Guys Burgers in the US, we were curious as to whether anywhere in Scotland could offer the same quality of food at the same low price and be a true competitor to fast food chains. Even though you’ll only find one Wannaburger branch, we’re happy to say that it might just be the best fast food burger in Scotland. 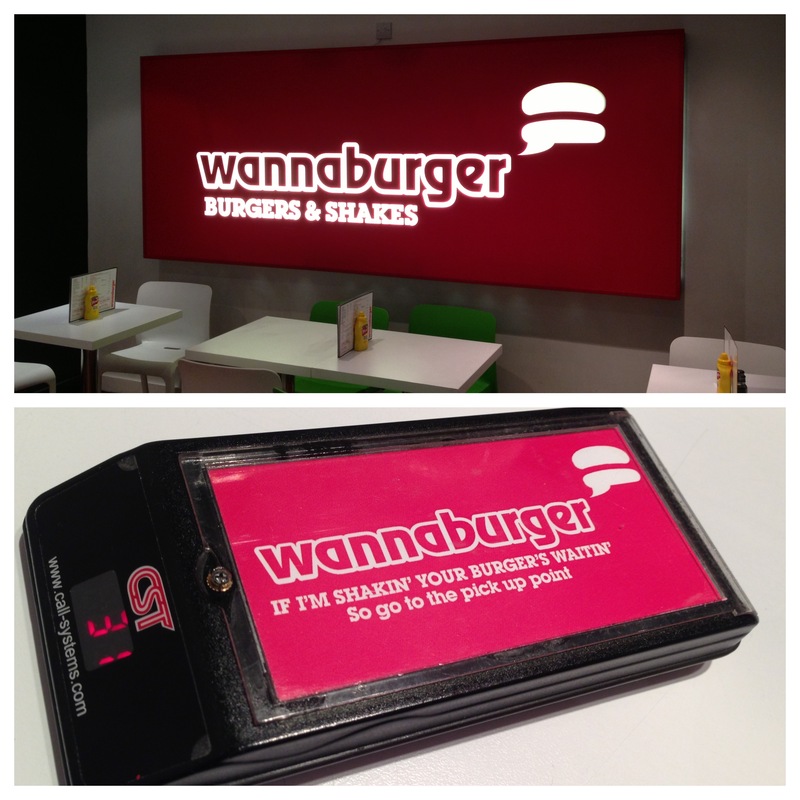 A quick scan of the menu will reveal just how wallet-friendly it is to eat at Wannaburger. A double bacon cheeseburger will cost you £5.50 and if you can only manage a single, it’ll be anywhere from £2.95 to £3.95. 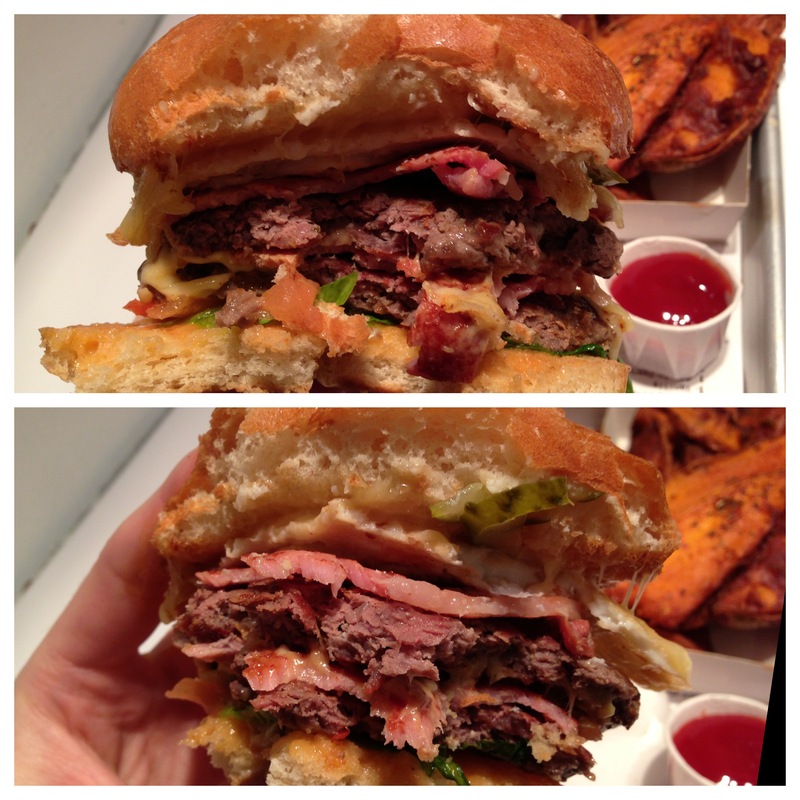 Fries will cost you an extra £1.65 and there are loads of free toppings that you can add to your burger too. There’s also a wide selection of drinks from soft drinks to shakes and even West Brewery beer if you fancy something a little stronger. 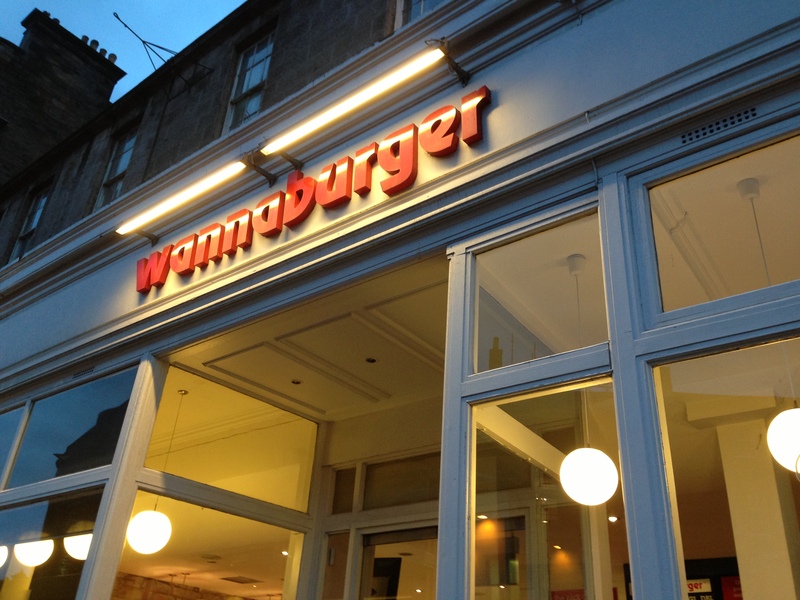 Wannaburger is very reminiscent of a typical fast food outlet, but the fact that there isn’t one on every high street in the country makes it all the more appealing. There’s a mix of booths, high tables or tables with a view, if you’d prefer to sit by the window. Everything is decorated in red, white and black colours and the low hanging lights and big screens showing US sports really set it apart from your typical McChain. The ordering process is much the same as Shake Shack in the US. Choose what you want from the menu, go to the paypoint to order and you are given a buzzer, which will vibrate when your food is ready. Once it’s ready, simply walk over to the collection point and get your burgers. It’s all very quick and extremely easy. We opted for two double bacon cheeseburgers. We topped them with relish, grilled red onions (both free) and a fried egg (50p extra). 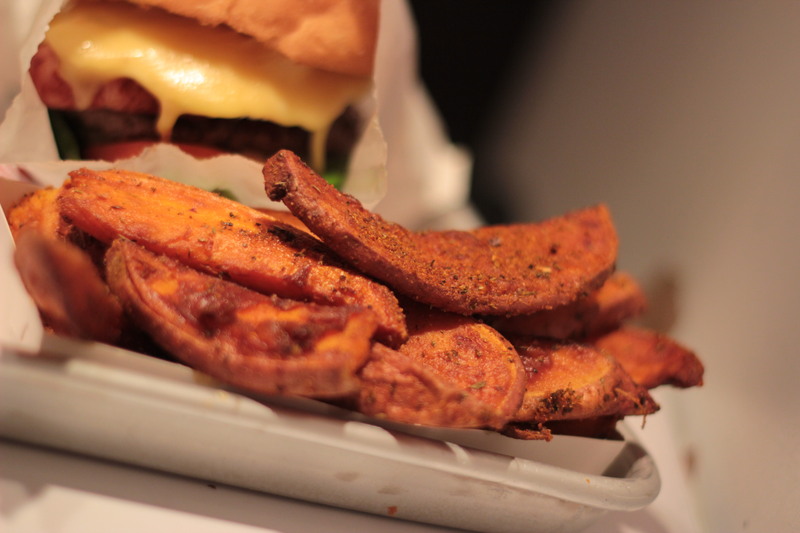 As it was Superbowl Sunday, Wannaburger were running a special of Cajun sweet potato wedges, much to our delight. We love sweet potato fries and couldn’t pass up the oppertunity to order a couple of portions to go along with our burgers. We weren’t waiting long for our food. From ordering to collecting our food from the desk, we only waited around 7 or 8 minutes, all while we watched our burgers being prepared, cooked and wrapped from the open kitchen. You can even ask for your burgers to go, but we decided to sit in since we’d just made an hour long journey in the car to get there. 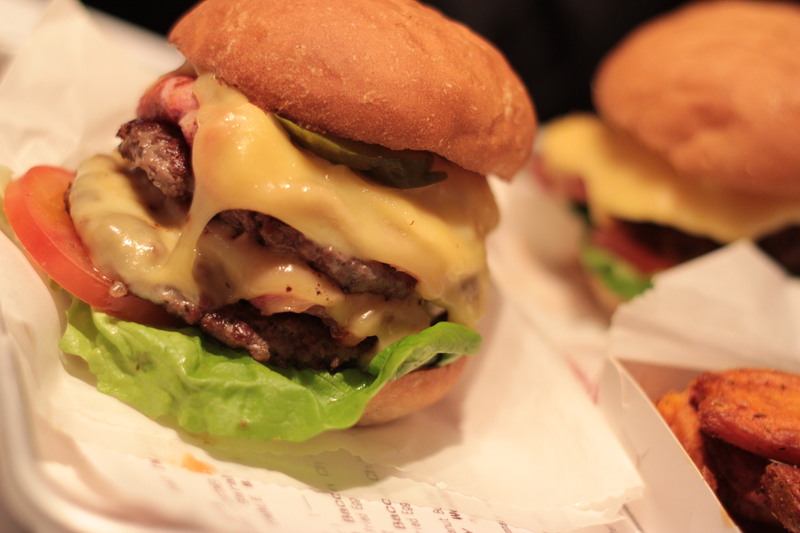 The double bacon cheeseburger consists of two thin, smashed-style patties topped with lashings of near liquid cheese and bacon and served on a lightly toasted bun. As mentioned, we also topped ours with fried egg, relish and red onion. This was a stacked burger, but one that we were still able to pick up and eat. 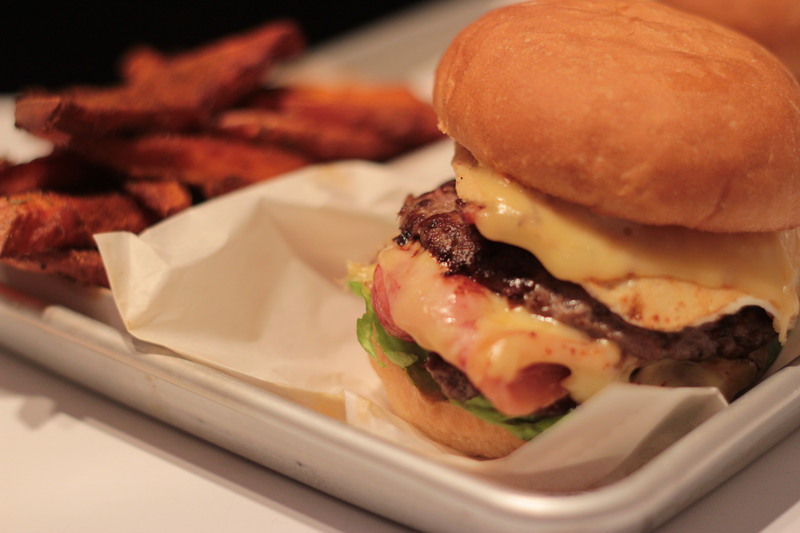 The patties were thin, charred, juicy and slightly pink in the middle. The cheese was messy and held everything together like glue. The bacon was nice and crispy and extremely smokey and went together well with the fried egg we added, which broke as soon as I took a bite, leaving my hands and plate covered in yolk – perfect for mopping up with the remaining bun at the end! The sweet potato wedges were perfectly cooked and very spicy! I almost ordered another portion to take home and eat in the car! It’s unfortunate that they were only a one-day, Superbowl special because I’d order these on every visit. We washed our burgers down with a peanut butter, vanilla and banana shake and a pepsi ice cream float – probably not the best thing to drink after two burgers and a huge portion of wedges, but we couldn’t help ourselves. The shake was thick, ice cold and contained a generous helping of peanut butter – our idea of milkshake heaven. 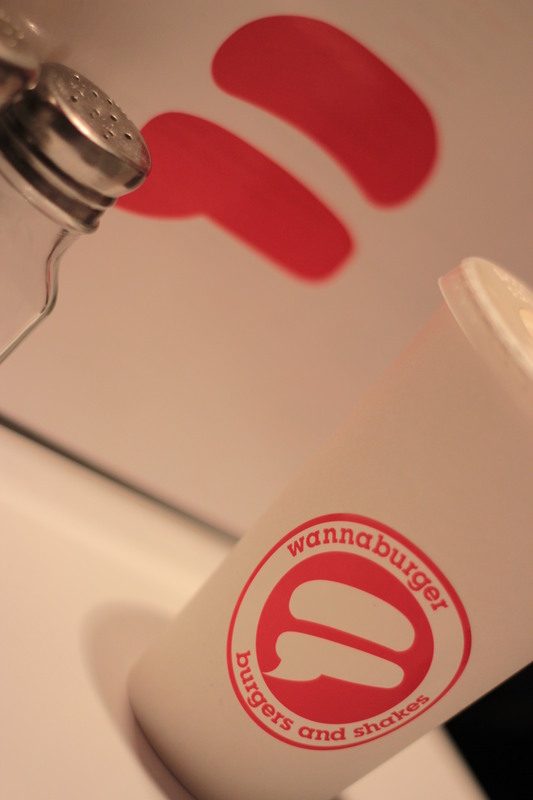 We really couldn’t fault Wannaburger. Make no mistake, this is not fine-dining. If you are after gourmet food & drinks and a nice, lengthly restaurant or bar experience, you should go elsewhere. This is quick, cheap, high quality fast food. It’s fast food done properly and once you taste a double bacon cheeseburger, it’ll be tough to go back to any other fast food burger simply because this one is on a whole other level. Our only crticism was that despite there being plenty of ways to customise your burger, I would have liked to have seen a couple of daily or weekly burger specials on the board. 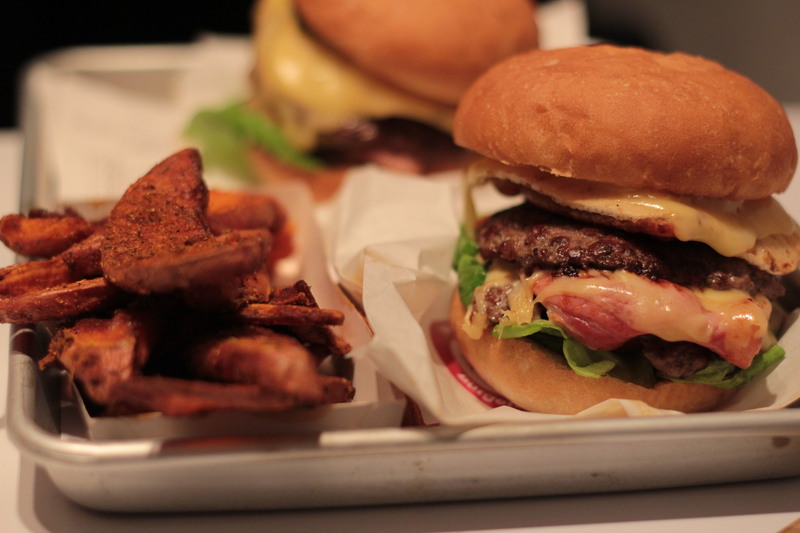 Yes, there was the Superbowl fries, but a daily burger special would have been good too. It’s a very minor criticism; however, because even without the addition of a special’s board burger, there’s still plenty to choose from on the menu. 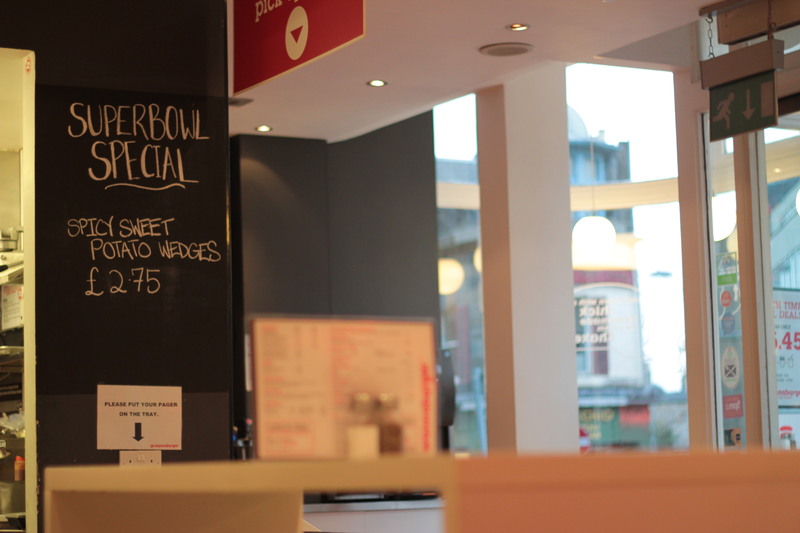 Quick food to go that is made to order and light on the wallet – we hope that this is something that catches on throughout the rest of Scotland. Price: £5.50 for a double / £3.95 for a single. + Fast food but still great quality. + Ordering process quick and easy. 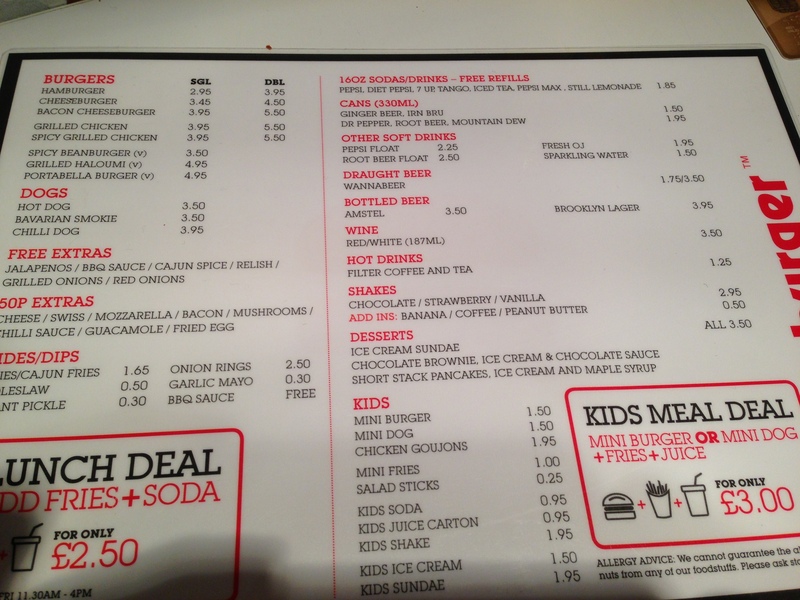 – A few more special menu items would have been good.